Since 1999, Smart Lending has been helping consumers find lenders and loan professionals online with free mortgage quotes, info and a clear path to pre-qualification for competitive home loan, refinance and cash out financing. Since our inception, we have been connecting people with lending companies that offer low rate home loans, affordable mortgages and debt consolidation. At Smart Lending our priority is to deliver quality mortgage marketing to our clients and we accomplish that by helping individuals online find the ideal home finance program from mortgage lenders that understand each applicants' unique needs. The Smart Lending Network has been a bridge for renters to become homeowners with affordable financing from proven trusted lenders online. Yes rates are still at 50 year lows! 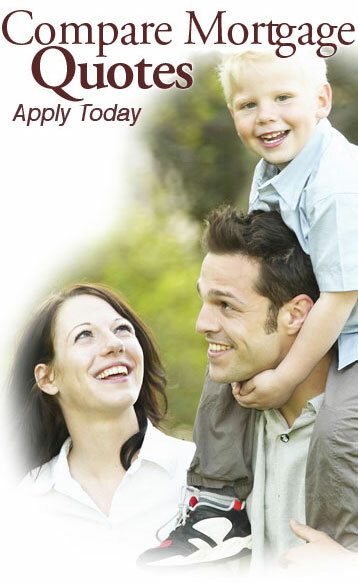 Applicants can get free quotes from competitive mortgage lenders in minutes! There's no time like the present to get locked into a new first mortgage with a record low interest rate. Did you know that refinancing rates are still near all-time lows? Get help finding Smart Lenders that are ready to help you navigate through the lending process, even if your credit history has blemishes or your income is hard to document. Using a home equity loans may present financial opportunities that you didn't know were available to you. Homeowners have access to new finance programs that may be tax deductible. Many borrowers have met their goals by consolidating multiple high interest charge cards into one affordable monthly payment. Select from various home equity initiatives. See for yourself how effective home equity lines and 2nd mortgages can be for you! To minimize closing costs, many first time home buyer programs used to include financial aid. Down-payment assistance programs have changes so talk with a loan company about your eligibility. In the past home buyers used these loans in many cases to reduce the size of the down payment required. 2nd Homes & Investment Purchases welcome! Do your homework and out what the rates on mortgages for home buyers are available with your credentials from some of the other popular lending sources online. Please fill out your info and one of our mortgage lead account managers will contact you directly about lead generation and marketing plans that yield fresh business. Is your income difficult or nearly impossible to verify? Have late payments from the past or low credit scores kept you from becoming a homeowner? Did you know that most states offer down-payment assistance and home buying grants for people with low income? Smart Lending believes it shouldn't be that difficult to buy a house that you can afford in a neighborhood that makes you happy. Smart Lending believes that refinancing higher rate mortgages into reduced rate loan should be a quick and simple process. That's exactly why we have spent well over a decade finding mortgage lenders and bankers that have a similar philosophy as us. Do not let your lack of knowledge keep you from attaining mortgage refinance loans that you need. Talk to lenders that can help you find mortgage loans that could potentially improve your financial state. There's no time like the present to pay down high-interest debts, get an equity mortgage or finance education or dream vacations! Interest rates are still low and we can help you navigate through the home lending process, even if your income is hard to document. This website can help you shop loan programs from companies that are dedicated to making sure that your mortgage lending experience is as efficient and enjoyable as possible. Want to buy a home or refinance, but looking for a new way to afford more home for less money? A new mortgage could be the best thing for you! A traditional mortgage payment is divided between interest and principal. Talk with lenders about qualifying for lower monthly payments that affords you it could be possible to pay down high interest debts or furnish your new home. According to MSNBC, the Wall Street Journal and Zillow, interest rates remain at historic lows, and we can help you decide if an interest only house loan is the right option for your needs. In an effort to maximize your home financing experience, Smart Lending has found companies that believe in efficiency and a high level of customer service. Please note that interest rates on house refinancing, credit lines and first time homeowner loans are subject to bank, credit union or lender approval and documentation for income, residence and credit may be required. According to the USA Today, home loan applications increased a 1.2% last week. The Mortgage Bankers Association released their report on December 4th highlighting that the rise in activity was driven by home refinance applications, which spiked over 4% when compared to the week before. Most economists anticipate that the Federal Reserve will hike key rates so the market is responding accordingly. Talk to lenders today and find out if the Fed's announcement will have any effect on the type of mortgage you are looking for.